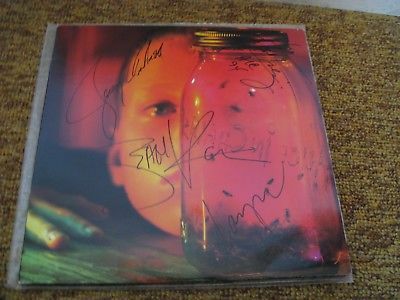 Alice In Chains/ Jar Of Flies/ 1995/ Columbia/ 2 LPs/ Colored Vinyl/ SIGNED!!! I have listed over 1000 records for an Ebay store. Records are graded visually only, unless otherwise noted. Will play grade upon request. Shipping costs are exactly what I am charged by Canada Post to ship. I use quality re-used mailers. All records are shipped outside of their sleeves. I ship within 3 days of payment. If there are any problems, please contact me before leaving feedback. Please bid with confidence.